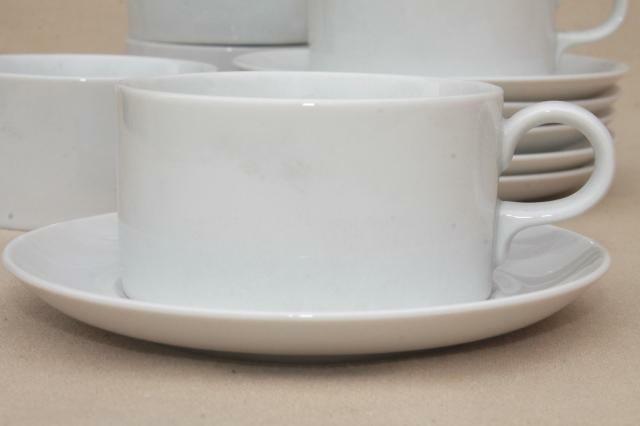 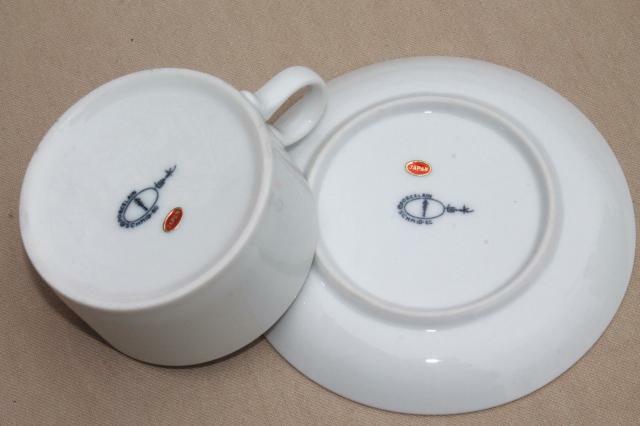 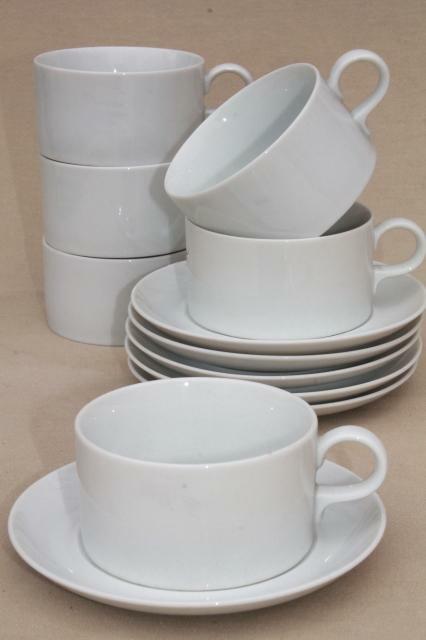 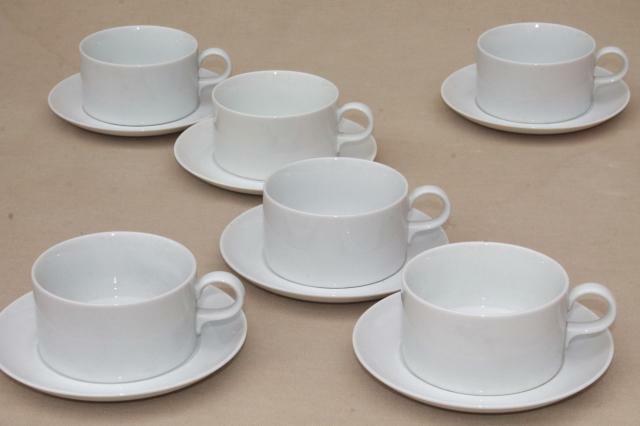 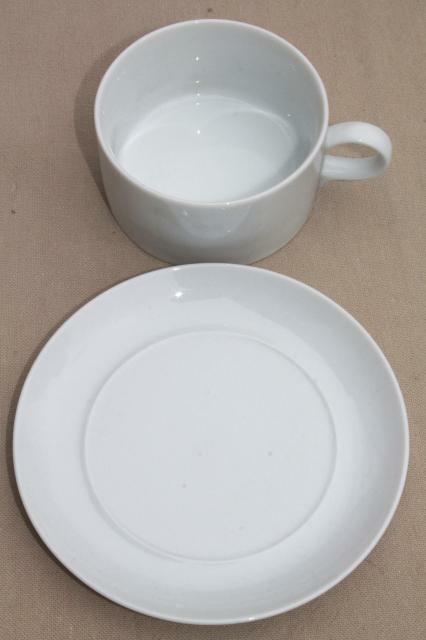 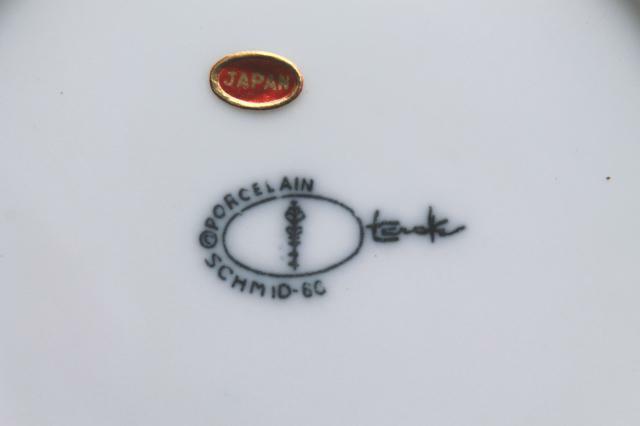 Schmid Forma white china cups and saucers, 60s vintage, with very minimalist shape - high style mid-century modern! 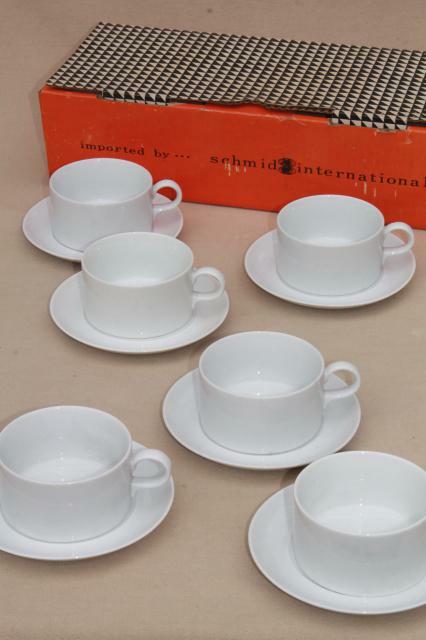 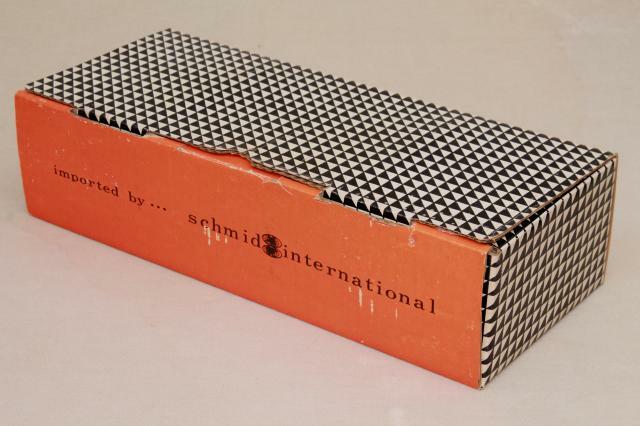 This is a set of six cups and saucers in pristine condition, all in the original box, never used. 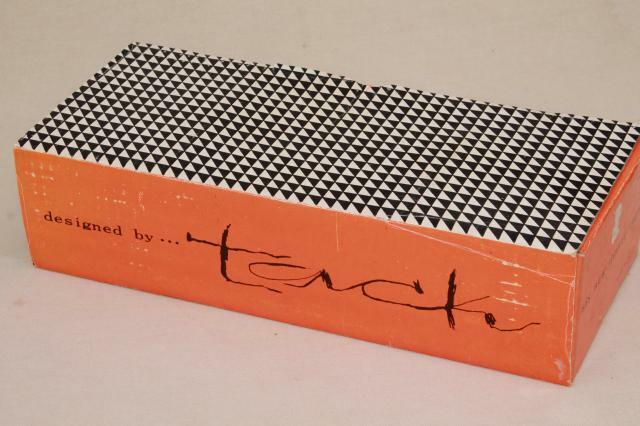 The box does show some shelf wear, not bad overall considering its age.